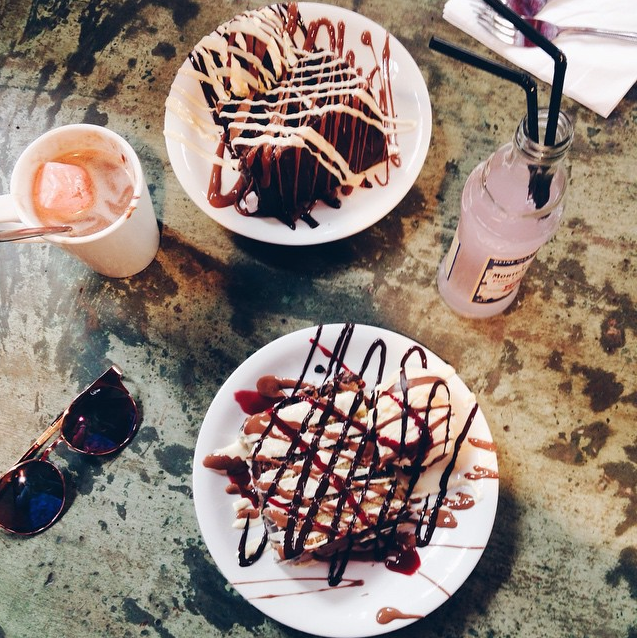 WHERE TO BRUNCH || LONDON | RAWR BOWS. Hello! Ever since I discovered brunch, all I want to do on the weekends is brunch. It just gives me a reason to eat breakfast food for lunch, I mean, buttermilk pancakes for lunch? Yes, please! 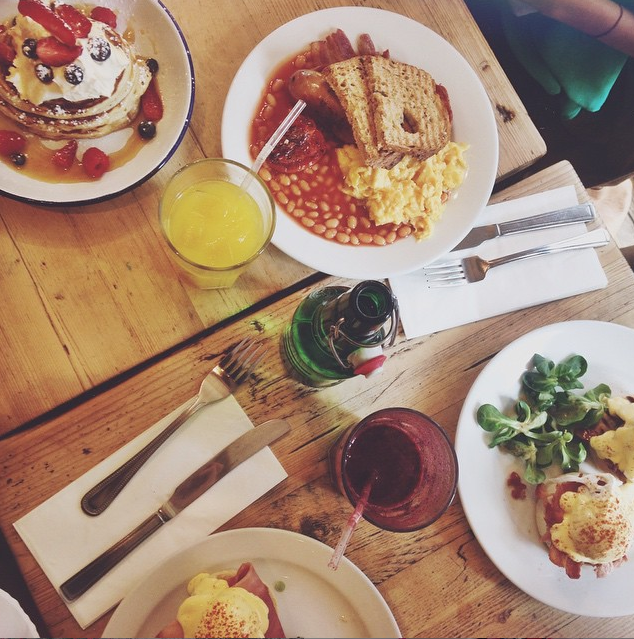 During the last few months, I've been out for brunch fairly often so I thought I would share with you all my top places in London so that you can enjoy them too! 1. THE BREAKFAST CLUB. This is the first place I had ever had brunch at and it is my favourite. They have the best pancakes with yummy berries and their Eggs Benedict are to die for! Also, they have the best caramel latte I've ever had and don't even get me started on their smoothies. Clearly, I really like their foo. The only downside is that if you go to the one in Angel or Soho you'll have to queue up for a while. The queue in Angel is significantly shorter though. 2. JACKSON AND RYE. This little cafe in Soho has amazing buttermilk pancakes. My favourite ones are the banana cream and maple syrup pancakes, I would even dare to say they are my all time favourite pancakes. The only thing I would change about this place is that they don't offer pancakes with real fruit unless you have the pancakes with blueberries and bacon, but I am not a fan of bacon with pancakes. 3. CHOCCYWOCCYDOODAH. This isn't really somewhere to have brunch as they only have cakes and drinks but, if you fancy a sweet brunch this is the place to go. They have amazing cakes that look and taste incredible, but if there is something you have to try if you got there is their hot chocolate. Oh my godness, this is the best hot chocolate on earth (after my mom's obvs), it's so rich and creamy and chocolatey and sweet and perfect. I've had the milk chocolate hot chocolate, but they also have white and dark chocolate so you can choose your favourite. 4.PAUL'S. I first went to this cafe when I went to Paris several years ago and that was also the first time I tried macaroons. 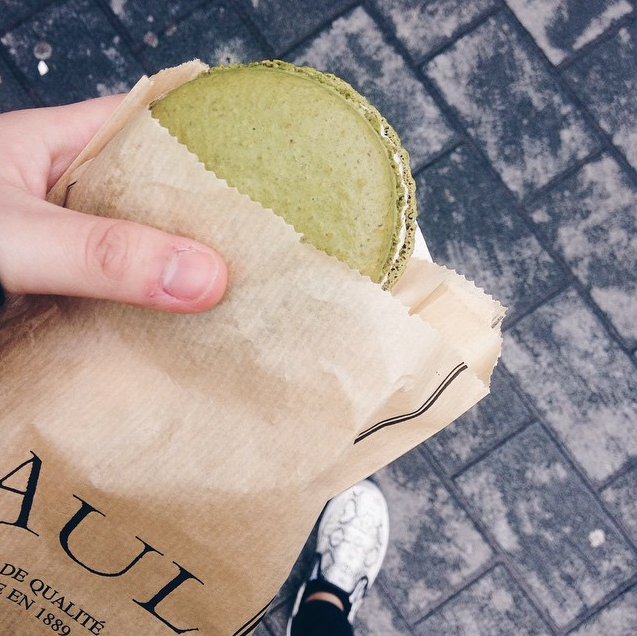 If you ever want to eat great macaroons but are not in the mood to splurge at Ladurée's, Paul's is the place to go! They also have many tarts that are absolutely mouth-watering (the strawberry tart is stunning) and their paninis and salads are also amazing! 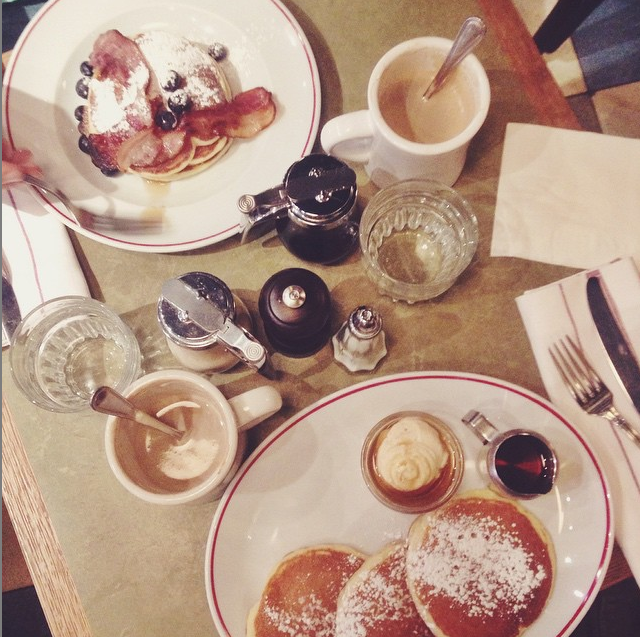 What's your favourite place to have brunch? What do you usually order?